In June, we’re joined by Christopher Irving, comic book and popular-culture historian for the Virginia Museum of Fine Arts. His talk reveals the origins of comic books and how they have translated into film and TV over the decades. It showcases everything from the 1940s movie serials to the current blockbuster movies out today and how both media have helped change one another. Featured are the classic Adventures of Superman TV show, Batman with Adam West from the 1960s, the Marvel Cinematic Universe, and the current DC Comics shows on network television. Christopher Irving is a Richmond-based comic book and popular culture historian. He received a BFA in Arts Education from Virginia Commonwealth University and a Masters in Literary Criticism from Brooklyn College. He currently serves as consulting editor of Comic Book Creator magazine. 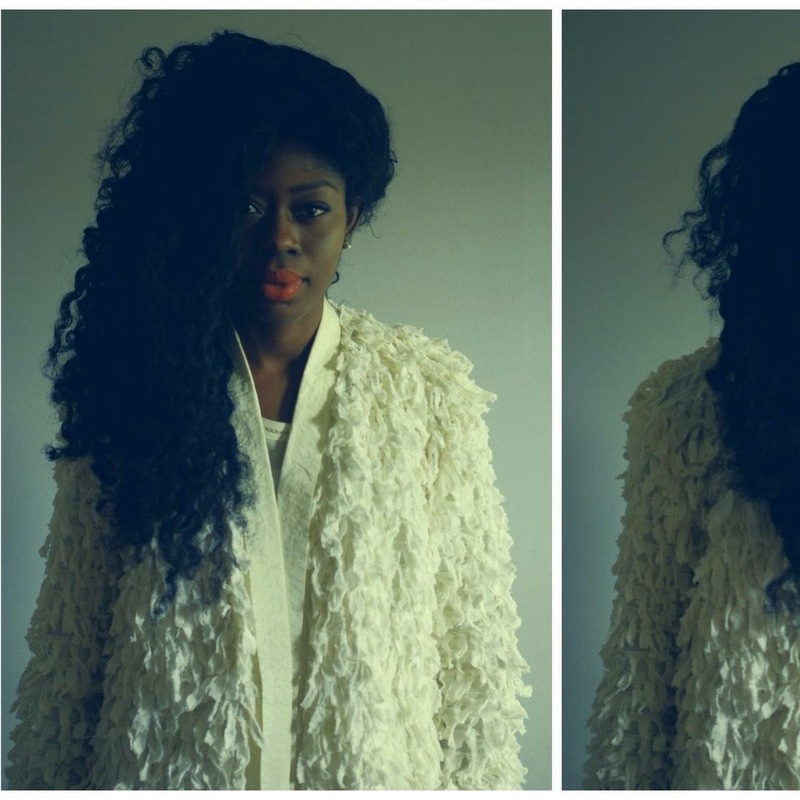 Target Gallery’s exhibition, Emerging Artists of the DMV, features work by four up-and-coming artists from the region. The exhibition jurors will speak about the current state of the visual arts in the region and where it is going. Jack Rasmussen, Director and Curator at the American University Museum at the Katzen Arts Center. Every Second Thursday of the month, join us at 8 pm for a free discussion in the main hall. Created on the belief that the arts is for everyone, we invite a different contemporary artist, curator, or activist in the creative arts world to stop by and share their knowledge in a short power-packed talk. It’s a chance to get inspired while connecting with other open-minded folks in your area. Halcyon promotes social good by encouraging socially engaged creatives to learn, freely experiment, sometimes fail, and advance their talents and visions. CEO and Co-Founder Kate Goodall shares how Halcyon Arts Lab incubator has impacted the greater metropolitan arts scene. Presented in collaboration with Halcyon. 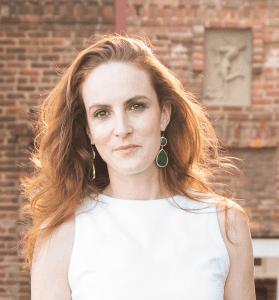 Kate Goodall is the Co-Founder and CEO of Halcyon, a non-profit dedicated to solving 21st century problems by providing space and access to emerging leaders in social entrepreneurship and the arts. Goodall continues to grow Halcyon’s offerings in 2018 with By The People, an international arts and innovation festival in partnership with the Smithsonian and numerous organizations throughout DC. In 2016, Goodall helped establish WE Capital, a consortium of leading businesswomen investing in and supporting women and women-led companies. Goodall has served as juror at national and international social entrepreneurship competitions, was listed as one of the Washington Business Journal’s Power 100 and 40 Under 40, Washingtonian’s 2017 Tech Titans, and Techweek 100 DC’s Talent Cultivators. ArtTable is a national organization focused on support and development of professional women in the visual arts. ArtTable DC’s program State of Art/DC: A Conversation explores the impact of contemporary visual art and art-making on the region. Co-Chair Ruth Abrahams and Communications Co-Chair Jennifer Riddell discuss the evolution of the program and the four editions presented to date. Presented in collaboration with ArtTable DC. 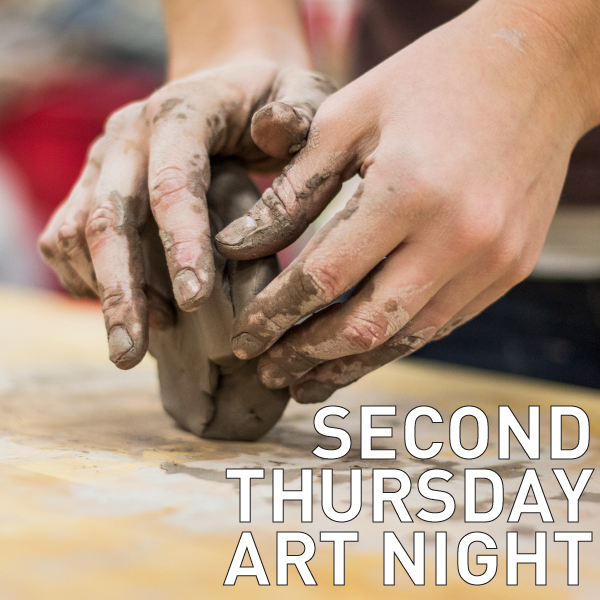 Enjoy a special Thursday after-hours event at the Torpedo Factory Art Center. Browse open studios and galleries, interact with artists, and enjoy special programming. 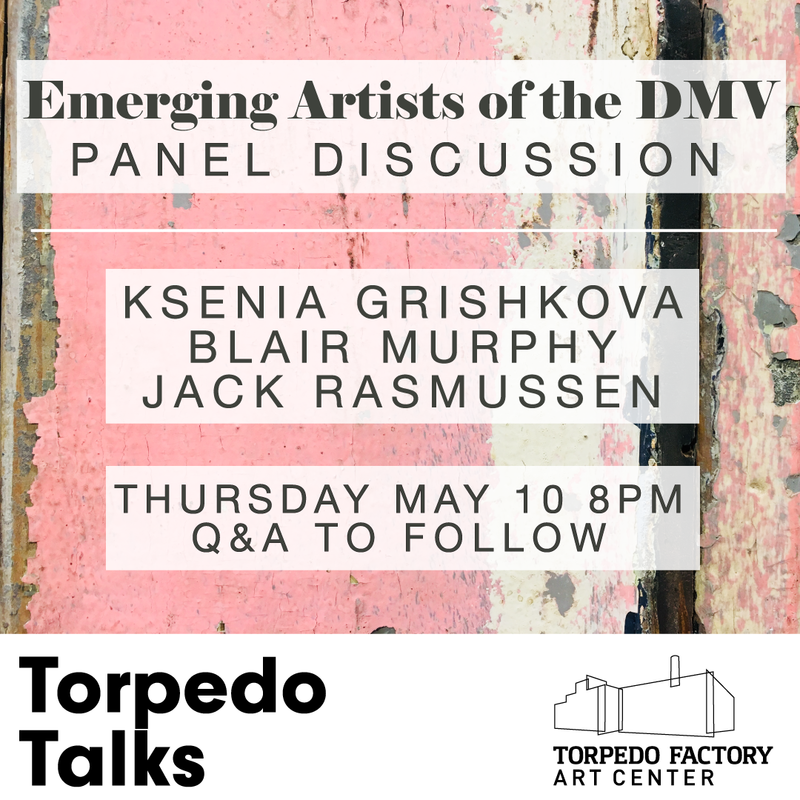 Check out our monthly lecture series Torpedo Talks at 8pm in the Grand Hall, featuring some of the contemporary art world’s best-known artists, art curators, and art professionals. In collaboration with Target Gallery’s Passages exhibition, Kayleigh Bryant-Greenwell, discusses the effects and influence of diaspora in African-American art. 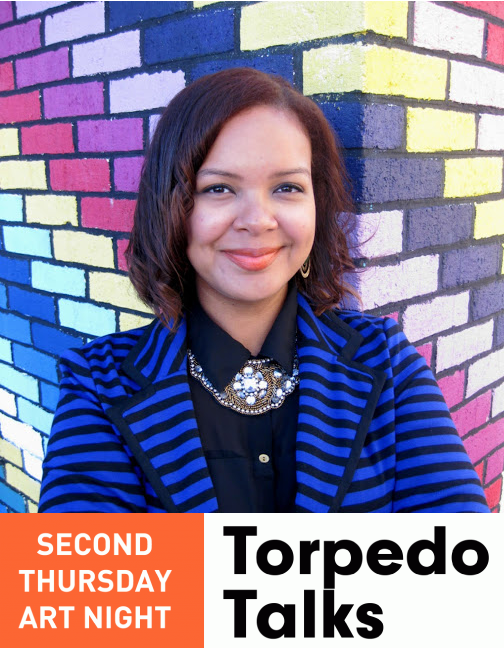 Torpedo Talks feature some of the region’s best-known artists, curators, and creatives. 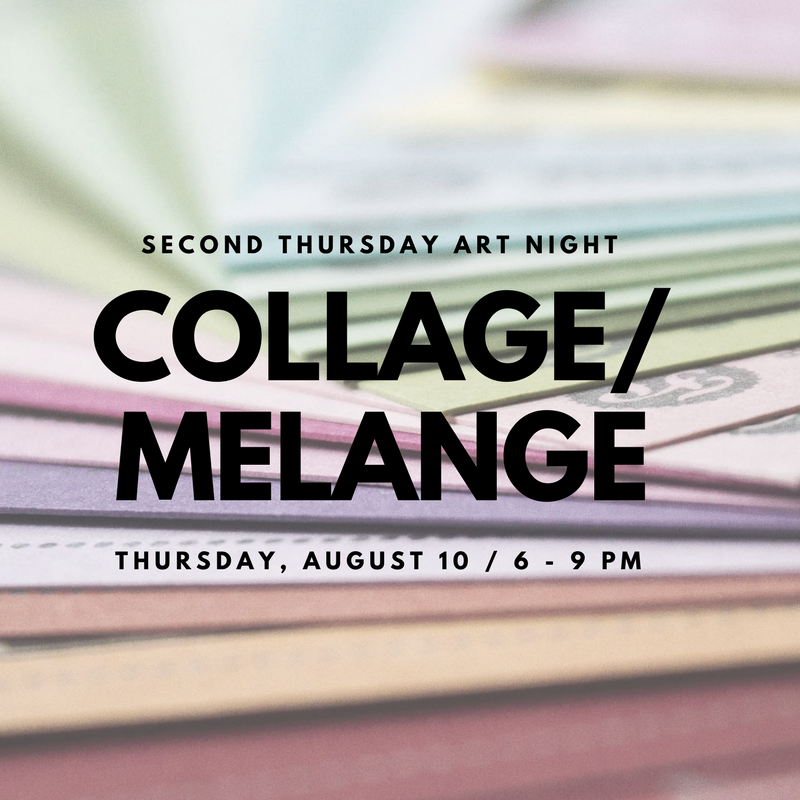 Find them every month at 8 pm during Second Thursday Art Nights. Kayleigh Bryant-Greenwell, is a Washington, D.C. native and an award-winning cultural programmer with over 10 years of GLAM experience [Galleries, Libraries, Archives, Museums] , devoted to exploring ways to engage with marginalized audiences through art, museum, and social justice practice. She is a contributing author to the recently published Museum As Site for Social Action [MASS Action] toolkit produced by the Minneapolis Institute of Art. In 2017 she joins the Empathetic Museum initiative in their efforts to increase empathy inside the museum profession. She lends her expertise in equity initiatives and transformational change to these social change programs. In her new role as Education Specialist with the Smithsonian Institution National Museum of African American History and Culture, she curates participatory public programs focusing on social justice issues, which empower museum audiences to share their own ideas and strategies towards equity. Before coming to NMAAHC, she contributed to the launch of the Women, Arts, and Social Change initiative at the National Museum of Women in the Arts, as the public programs coordinator. There she advanced feminism advocacy and brokered diverse and creative collaborations between the museum and local activist and arts leaders. Before that she served as an adjunct professor with P.G. College, and as a community organizer with P.G. County Arts and Cultural Heritage. Previously, she served as the visual arts coordinator at Strathmore, where she was responsible for an expansive portfolio of exhibition-based educational programming and a professional residency for emerging artists. Prior to that role, she served as operations manager at the David C. Driskell Center, where she wore many hats in programming, management, and collaborative projects. As a curator, she has produced several contemporary art exhibitions exploring race, gender, politics, and social issues. She is a frequent juror of national and international art exhibitions and initiatives. She has served in the leadership of the DC Chapter of ArtTable, Inc. since 2014, and currently serves as Chapter Co-Chair. Her writing has been featured with Americans for the Arts, the American Alliance of Museums, The Washington Times, CBS, and Brightest Young Things, among others. She earned her bachelor of arts in art history from the University of Maryland, College Park and her master of arts in museum studies from the George Washington University. 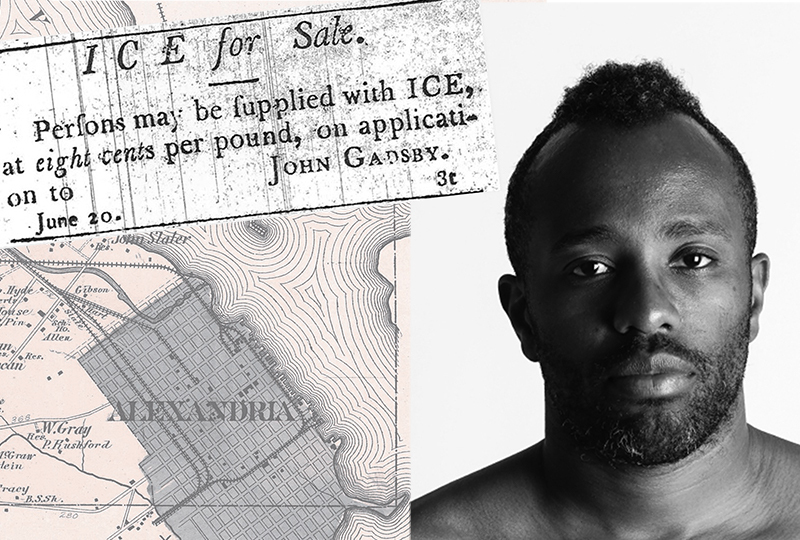 Opening reception for Passages, a group exhibition that explores the lasting effects migration has on cultural identity from the perspective of immigrants and immigrant families from across the global diaspora. This exhibition gives an intimate look in to their individual experiences and how these experiences have shaped who they are today. The juror for this exhibition, Adriana Ospina (Curator of the Permanent Collection and Education at the Art Museum of Americas) will speak at 7 pm. 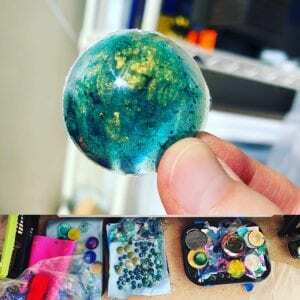 Jennifer Brewer Stone (@sobrightart) will demonstrate poured resin on panels, including a gold leaf application, mixing dyes on the spot, and doing a dirty pour and a striped pour. She also uses molds of resin created in prior pours and layers them into her finished works, and she will show how these are created. A gold leaf demonstration will begin the demo session, starting with applying the gold adhesive, and after adhesive is set, applying the gold leaf and brushing it off at the end of the entire demo session. 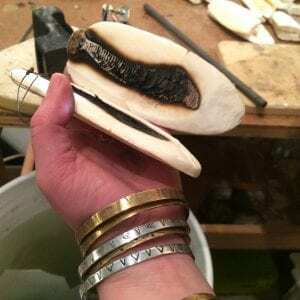 Whitney Staiger (@udopjewelry) will showcase how to cast into cuttlefish bones, one of the oldest ways of casting metal. The demo will include the carving and instant gratification of casting, as she pours the metal directly into the cuttlefish bone, producing the almost finished end result. 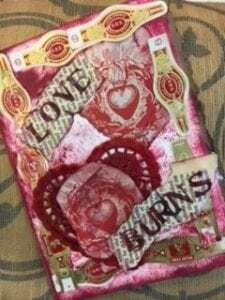 Create unusual cards and love tokens with Torpedo factory Artist Lisa Schumaier (@lisaschumaier) and Upcycle Creative Reuse Center. Make magical messages using Recycled stuff and cool art supplies. All ages are encouraged to participate. Come and play! Enjoy a special Thursday after-hours event at the Torpedo Factory Art Center. Browse open studios and galleries, interact with artists, and enjoy special programming. 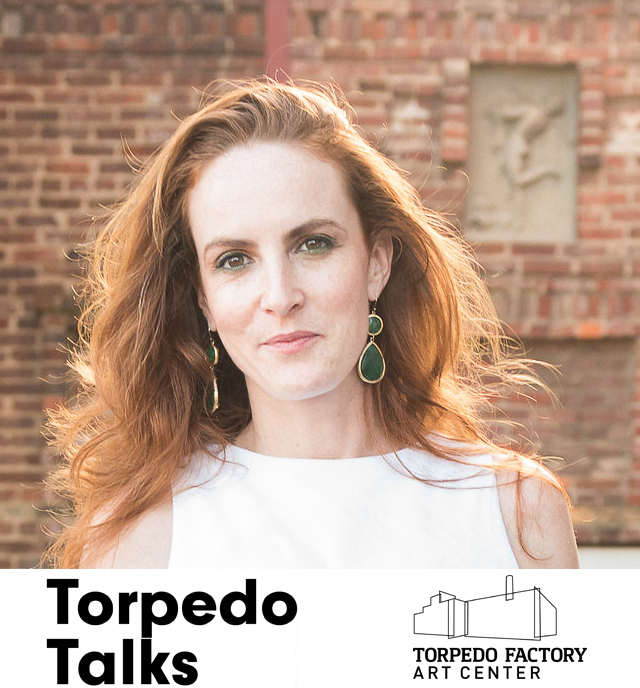 Check out our monthly lecture series Torpedo Talks at 8pm in the Main Hall, featuring some of the contemporary art world’s best-known artists, art curators, and art professionals. Stop by on your way to dinner and make an evening of it! 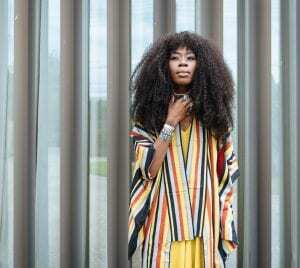 Desirée Venn Frederic is a social entrepreneur, installation artist, writer and activist whose work pulls heavily from her transnational experiences. She uses her work to negotiate multiple strata of marginalization being both undocumented yet identifying as an aboriginal indigenous woman. She shares her experiences as an artist, as well as her personal journey as an immigrant and how it has influenced her creative process. The Pop-up Shop returns for its 3rd year. The shop features art and fine craft from Torpedo Factory Artists’ Association members, all priced under $100. Join us inside the shop for snacks, festive music, and holiday cheer. During the reception, you can make a custom ornament keepsake. Opening reception for December “Petite” exhibit and Open exhibit. Awards will be presented at 7:30 pm. 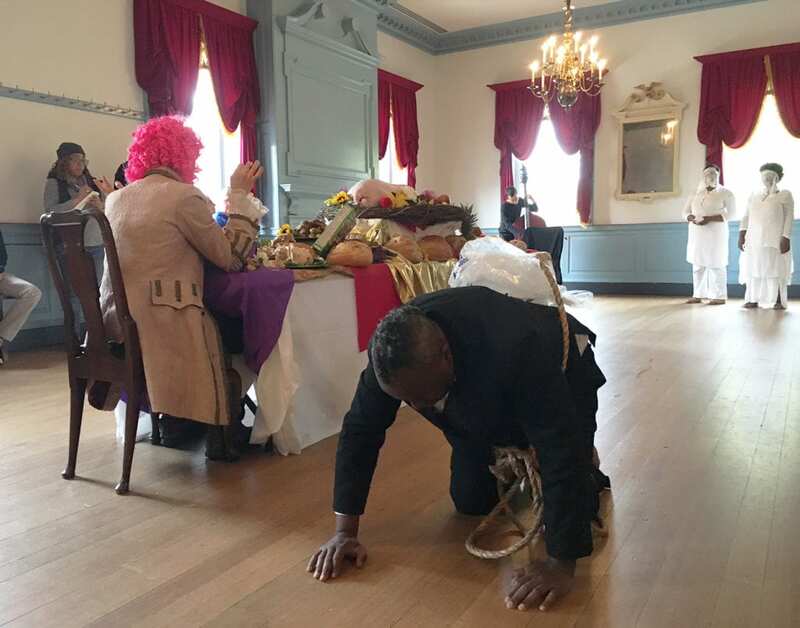 Inspired by the history of harvesting ice from the Potomac, Sheldon Scott’s performance the Finest Amenities last April discussed the crucial relationships between race, class, environment, luxury, and consumption. His follow-up exhibition in the Torpedo Factory’s New Project Studio provided further layers to the narratives while reminding viewers of the ephemeral nature of performance art. Sheldon returns to the Torpedo Factory for one night this November to shares thoughts and inspirations in his art process, both during the creation of the Finest Amenities and beyond. Born and raised in the Gullah/Geechee Lowcountry of South Carolina in the small town of Pawley’s Island, Sheldon Scott now lives and works in Washington, D.C. as an artist. His work plays in the intersection of race, sexuality and economics, while impugning mythologies of black male supernaturality. Sheldon makes performance, sculpture, installation, photobased work, spoken word, creative nonfiction, objects and ephemera. He is an alumnus of the Capital Fringe Theatre Festival and (e)merge Art Fair. His storytelling has been shared on the stages of Busboys & Poets, Story District, and The Moth, where he serves as host for the DC outpost. Scott’s Fine Art practice has enjoyed exhibits at the WPA Select Auction, Arlington Arts Center, Delaware State University, Goucher University, Art Miami the Smithsonian Asian Pacific American Center, National African Art Museum, Katzen Art Museum and the National Portrait Gallery. He has been featured in Forbes Magazine, Blouin Art Info, Art 21 and Hyperallergic. His upcoming memoir Shrimp & Griots, is based on his storytelling narratives of the same name. In a quest for truth, Scott hopes to de-silo the disciplines of art, history and science through the use of shared language and practices. ConnerSmith Contemporary represents Scott’s Fine Art works while Ross & Yoon Literary Agency represents his written works. Reception for the 2017 Post-Graduates, Jay Hendrick, Samantha Sethi, Lindsay Hall, Fumi Amano. During this hands-on session, students will lead attendees to create a small book (zine) about the subject of human trafficking with simple materials in response to the Golden Doors to Freedom exhibit on display outside the project room in the Torpedo Factory’s main atrium. Reception for the Golden Doors Project. Michael McKeown, Executive Director, Homeland Security Advisory Council and Campaigns, will speak about the importance of this arts project in the face of global human trafficking. Opening reception for Karin Lithell: Doubt. What makes a home a home? Karin Lithell considers human migration from different perspectives and times in this exhibit of paintings combined with printmaking processes. Also opening is IMPart Ceramics & Bladesmithing, featuring work of injured military personnel participating in The Art League’s IMPart program. Artist talk for “The Connection Between Nature & The Urban Environment in Woodblock Print” by Kristina Hagman in Printmakers Inc. (Studio 325) 7:30 pm. Kristina Hagman is a wood block printmaker and art career trainer. She will talk about her process of making multi block, woodblock prints. Her Student Mara Clawson, winner of 2016 VSA Kennedy Center Award for artists with disabilities, will talk about making a print with Hagman at Printmakers, Inc. Enjoy an special after-hours event at the Torpedo Factory Art Center every month. Browse open studios and galleries, interact with artists, and enjoy special programming. Stop by on your way to dinner and make an evening of it! 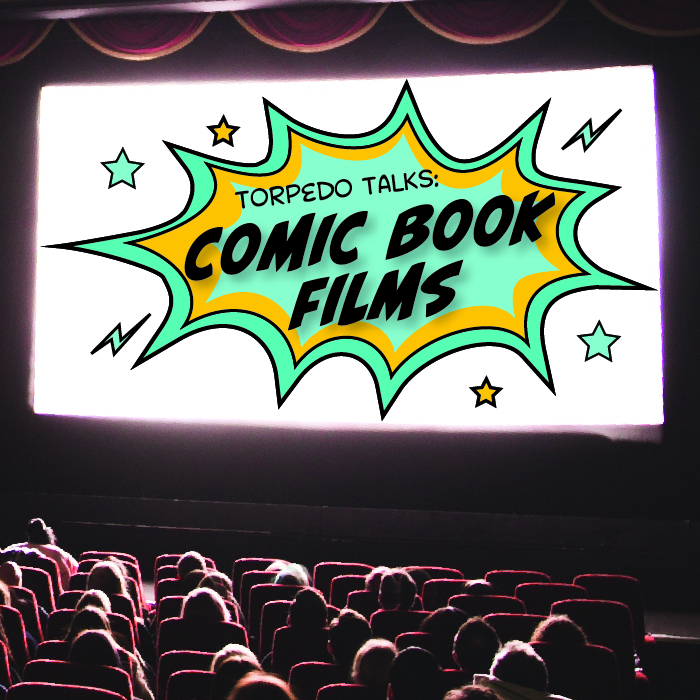 In October, we launch a new monthly speaker series, Torpedo Talks. Join us each month for a new speaker every 2nd Thursday and visit studios and galleries throughout the building for receptions and opening celebrations. A panel discussion featuring regional ceramists and potters discussing their work and experiences at the 2017 NCECA (National Council on Education for the Ceramic Arts) conference in Portland, Oregon, and what is being prepared for the 2018 conference in Pittsburgh. Before the discussion, visit the interactive ceramics touchable display where you can find out more about the art and science of pottery. Presented by the Torpedo Factory Artists’ Association. Welcome Fumi Amano, the Fall 2017 Post-Grad Resident. Opening reception for both Jane Johnson’s Splendid Fortitude and Open exhibit juried by Timothy Doud from 6:30-8:00pm. Johnson’s work celebrates the incomparable beauty of the geisha – evoking their presence in large multi-media paintings. Culture Shock explore socio-political issues through the lens of pop culture and street art. Half of the artists on view are local to the greater DC region. Torpedo Factory artist Michael Fischerkeller is one of the artists on view in Culture Shock. Throughout the night, he will demonstrate spray-paint and stenciling techniques. He will be working on his Children of War series, featuring portraits of children that showcase the grace, determination, and defiance that these children are able to carry. Find out more about the art and science of pottery. Learn about processes such as raku, handbuilding, wood firing, wheel throwing, slip casting, and more. See a retrospective about this summer’s three late night events, featuring photos, videos, mermaids, skateboards, street art. Live demonstrations provided by artist Constantino Bastidas. 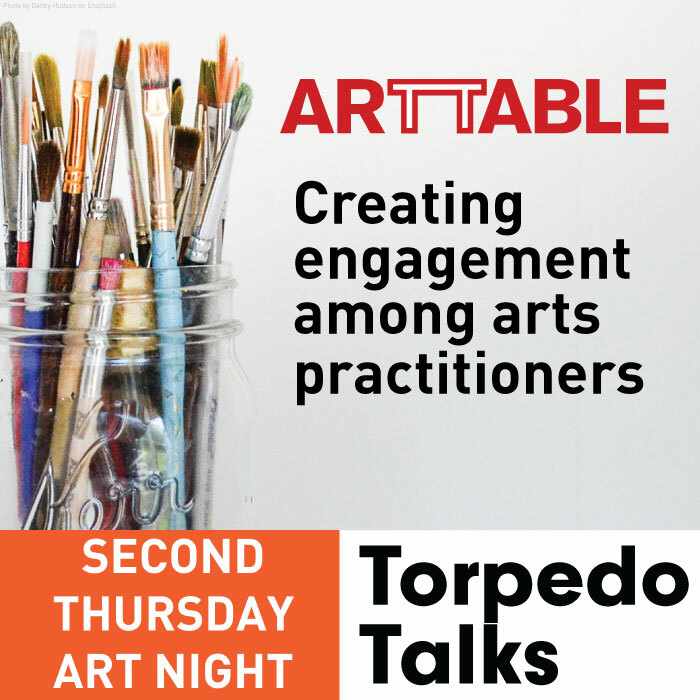 Enjoy a special after-hours event at the Torpedo Factory Art Center every month. Browse open studios and galleries, interact with artists, grab a bronut, and enjoy special programming. 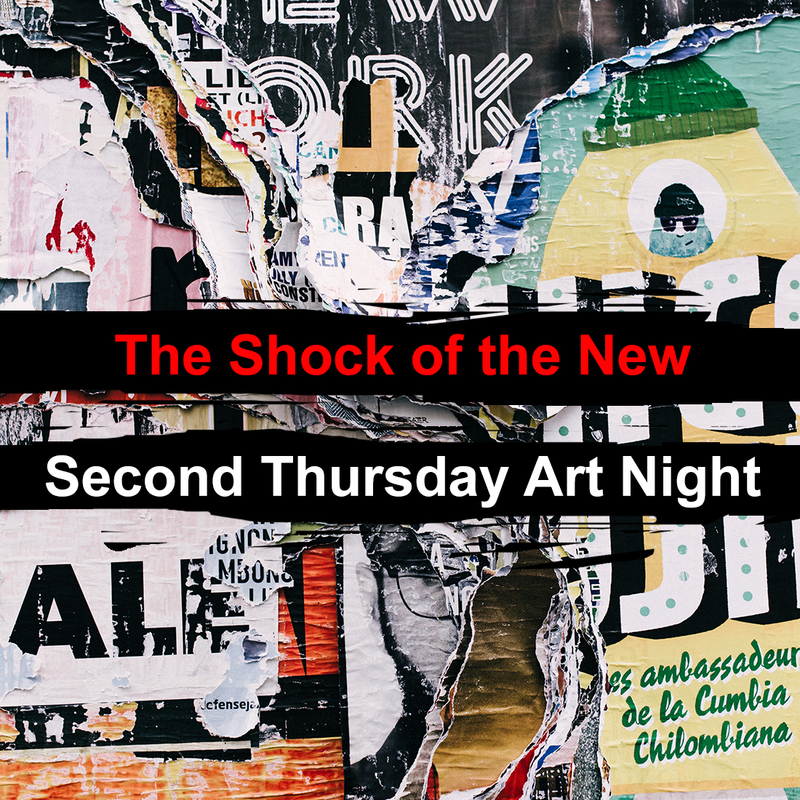 This month we celebrate “The Shock of the New.” Visit new exhibitions in the Target Gallery, Art League Gallery, and Associate Gallery. Check out a Late Shift retrospective in the New Project Studio. Spend time with Lindsay Hall before her artist talk later this month. Take part in a DIY activity with the Artists Association. Live music provided by DJ VicoVibez. Wine, beer, and sweets provided by EatsPlace. Reception: Culture Shock: 16 artists (8 from the DC area) explore socio-political issues through the lens of pop culture and street art. Juried by Mojdeh Rezaeipour, producer of The Moth’s D.C. StorySLAM and co-founder of Epicure Café. Opening: The Late Shift Lounge: A retrospective about this summer’s three late night events, featuring photos, videos, mermaids, skateboards, street art, and you. Explore, share, and contribute your thoughts! Meet the Artist: Lindsay Hall, the Summer 2017 Post-Grad Resident wraps up her final month at the Torpedo Factory. Stop by before her artist talk on Friday, Sept 22. DIY Activity: Adult coloring panels. Visitors are invited to color a 4″ x 6″ panel and take it home ready to frame in a 5″ x 7″ matte with backing board and bag. On Display: see exciting new items on view from the historic Waterfront sunken ship! Live Music Set: Enjoy beats by DJ VicoVibez, the local affiliate DJ with D.C.-based Words Beats and Life Inc., official DJ for muralist duo MASPAZ and CHELOVE, and DJ for the D.C. to Standing Rock Movement. 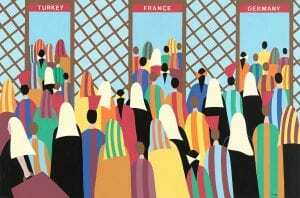 DIY Activity: Collage Making: “Your Side of History.” Inspired by the current exhibition, Sarah Nesbitt: Making Sense of What We Have, join us for a collage making session in which any individual can create and show their version of history. On View: Sheldon Scott, the Finest Amenities. Photography, video, and ephemera from this groundbreaking body of work. DIY Activity: Context Collage – Identify mystery artifacts, from both past and present, using clues commonly left behind for archaeologists to discover. DIY Activity: DIY assemblage boxes; Drop-off art supplies donation table for the upcoming Art Materials Market on Saturday, Aug 26. Enjoy wine, beer, sweets, and hot sandwiches from EatsPlace. Try out the famous Bronut (Brownie/Donut) as featured in the Washington Post.